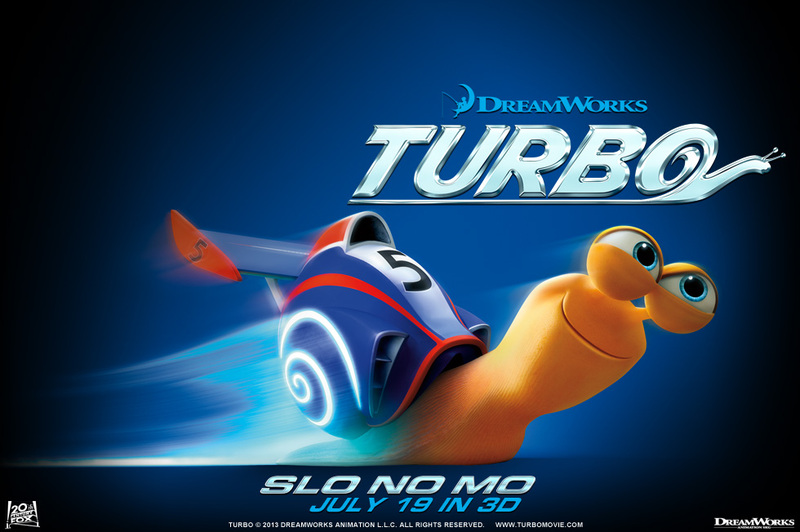 DreamWorks Animation’s upcoming action adventure movie “Turbo” starring Ryan Reynolds, Paul Giamatti, Michelle Rodriguez, Ken Jeong and Samuel L. Jackson is a mash-up of superhero and racing film genres. It turns a garden snail into a mighty mollusk who travels at super-speed. When we meet Turbo, he’s somewhat of an outcast in the snail community, which is less about big dreams and more about punching a time clock at their place of employment (and principal source of nourishment) – the [tomato] “plant.” Leaving the plant behind, Turbo begins his journey to fulfill his dreams when he is swept from a freeway overpass onto the hood of a sports car, and is then propelled into the muscle car’s air intake valve. Explosive nitrous oxide charges every atom of Turbo’s body, altering his molecular structure. The freak accident infuses Turbo with incredible speed – he can reach 200 miles per hour – and he now blazes across the streets of Los Angeles like a neon bullet. But even a turbo-charged Turbo can’t accomplish miracles on his own. 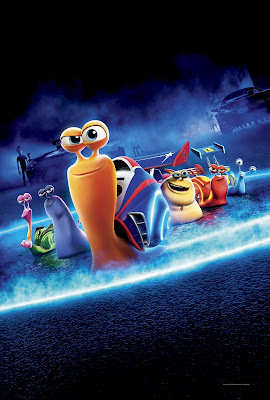 Luckily, Turbo meets the “Racing Snails,” a ragtag group with shells that look like mini-street racing cars. Their pimped-out exteriors are complemented by their trash-talking personalities. The Racing Snails make fast friends with Turbo, and together they begin a journey of adventure, bonding and family. 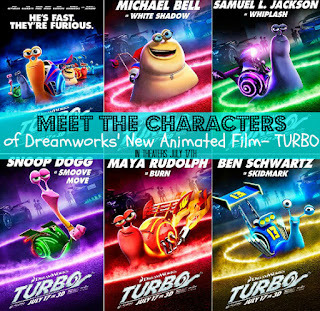 Another team – this one human –becomes an integral part of Turbo’s journey. Meet the colorful shop owners of the rundown Starlight Plaza in Los Angeles’ San Fernando Valley, who become reluctant and then fervent backers of Turbo’s quest to race in the Indy 500. The leader of this group is Tito (Michael Pena), who is co-owner, with his brother Angelo (Luis Guzman), of a struggling taco business they call Dos Bros Tacos. Tito’s true passion rests not with ground meat and tortillas, but with the snail races he hosts along with his fellow shop owners at the Starlight Plaza, as a means to gain exposure for their businesses. An equally tough, though considerably younger member of the Starlight ensemble is Paz voiced by Michelle Rodriguez, who owns and runs an auto repair shop. Street-smart and scrappy, Paz’s passion is cars and she’s put every penny she has into the garage. She’s sharp, has a dry sense of humor, and prefers to cut to the chase. 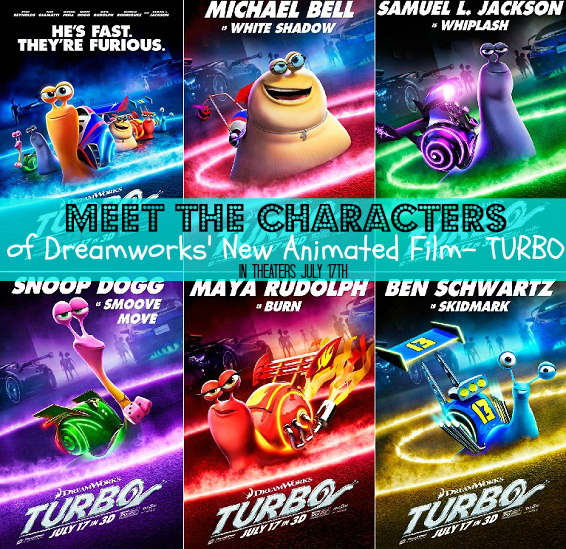 “Turbo” opens July 19 in theaters nationwide from DreamWorks Animation and 20th Century Fox.